I am massively into my IPhone apps. I love trying out all the new things the Appstore has to offer. So I figured I’ll sort through the crap so you don’t have to, in a new weekly post I am calling Loz’s App Of The Week (Working title, if you have anything better let me know @laurencehead1). To use the app you need to print off the keyboard image provided and lay your IPhone in the marked spot. 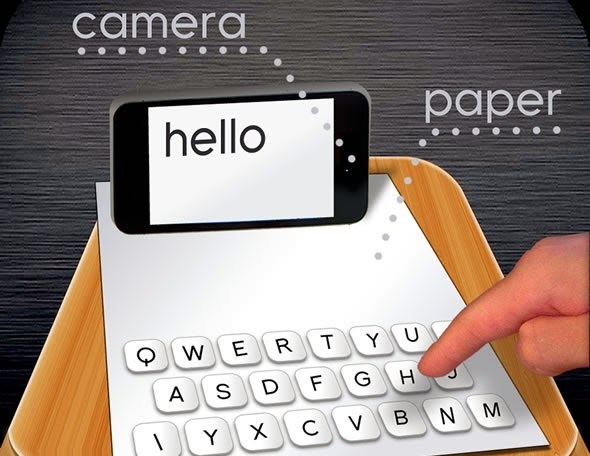 Then after a bit of fiddling you can use the printout as a keyboard. I found it helpful when I was writing out notes and playing some games that are linked to the app. So check it out, like I said it can be a bit annoying adjusting the camera but the novelty lasts a fair while.